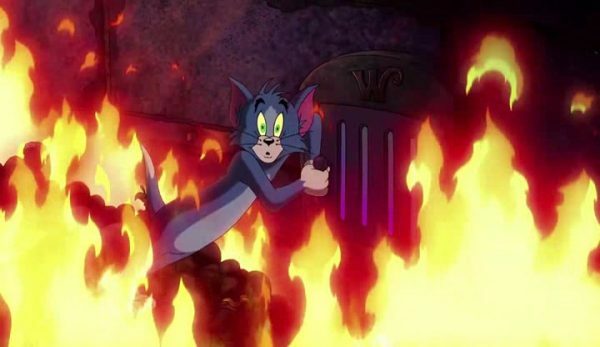 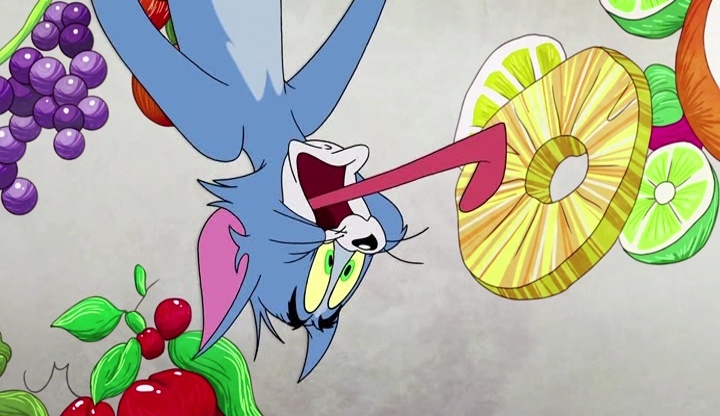 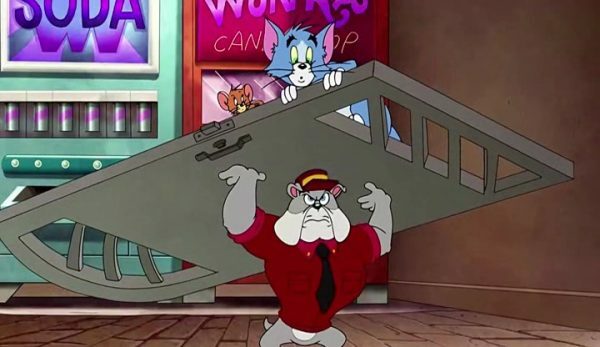 Tom and Jerry are both poor and hungry, so hungry Tom even forgets he can eat Jerry as the two fight over cheese. 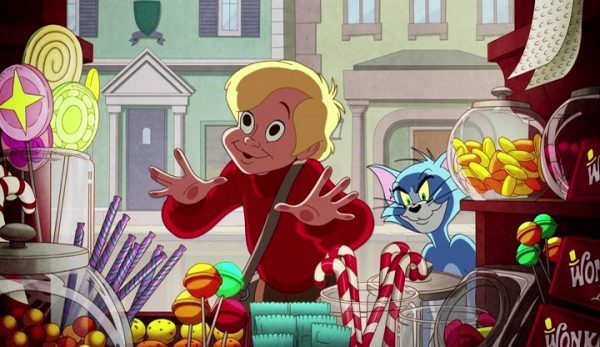 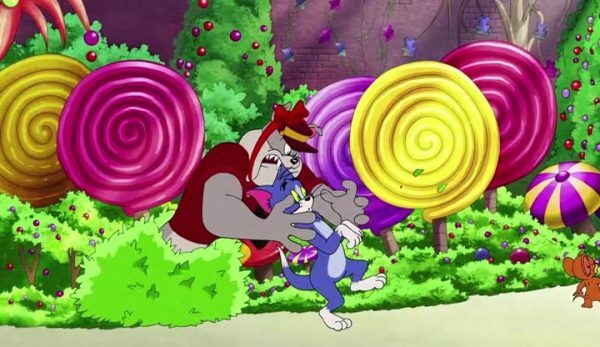 Eventually Tom remembers he can chomp down on the mouse and gives chase, but by then they’ve bumbled into the Willy Wonka movie and run into the candy store right as The Candy Man song begins. 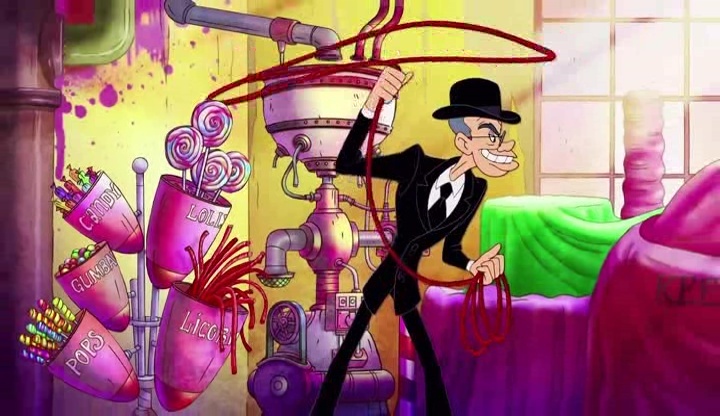 Despite the thousands of dollars of candy the candy man tosses around for free (how does this store stay in business??? 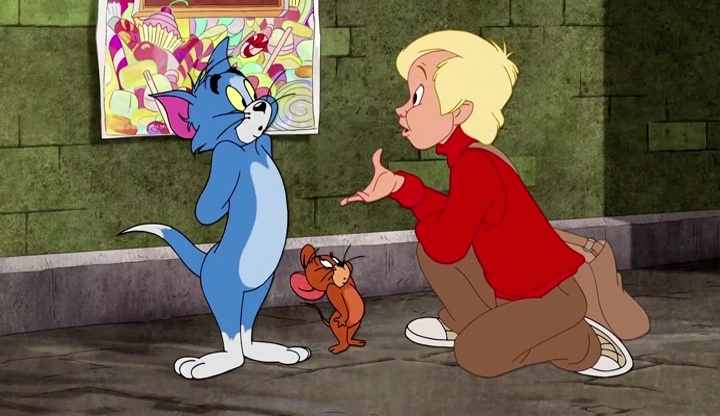 ), they barely eat anything and Tom is about to eat Jerry again before Charlie Bucket saves him and gives the pair some bread. 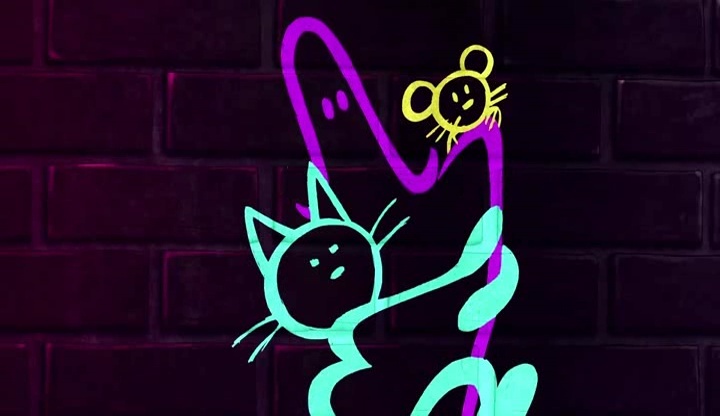 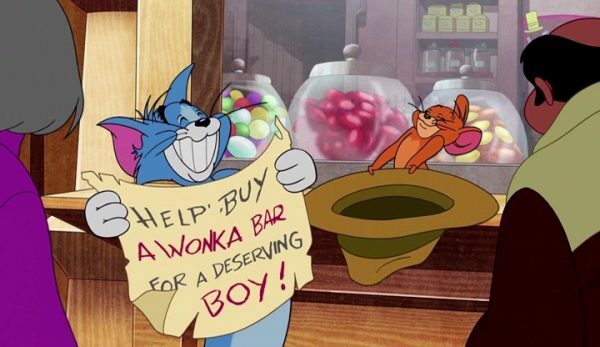 Thus, the greatest friendship in cinematic history has been born. 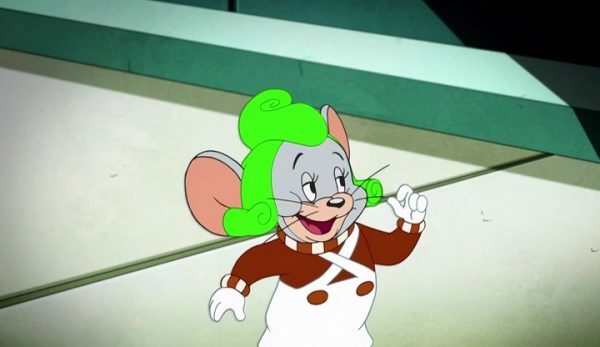 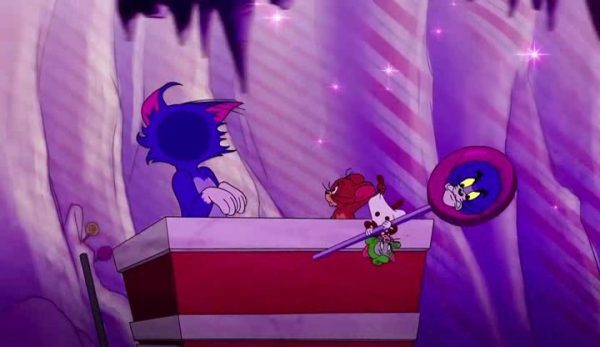 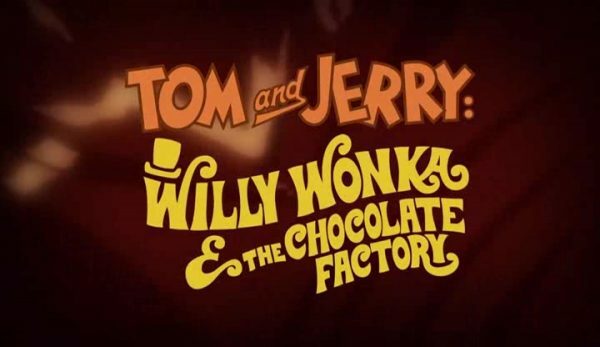 Tom and Jerry are involved in a painful series of adventures as they try to raise money to buy a Wonka Bar for Charlie in appreciation, and then resort to stealing the bars (Charlie steadfastly refuses to eat any ill-gotten gains, so they have to return it.) 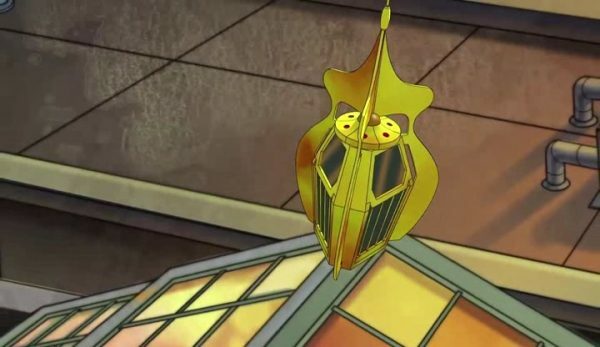 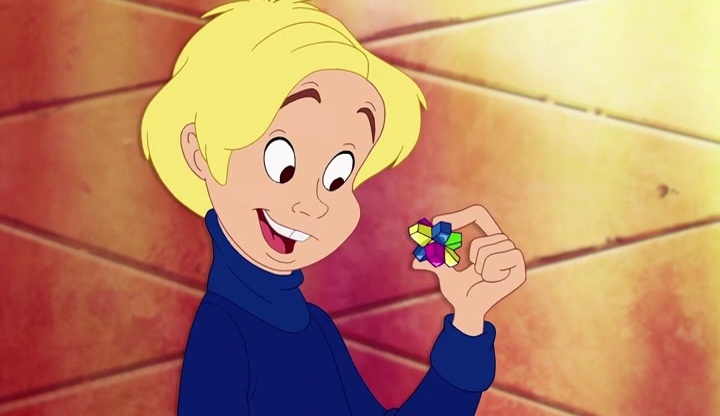 Eventually, as we all know and love, four other children find golden tickets, and eventually our Charlie Bucket, who goes on the tour with Grandpa Joe. 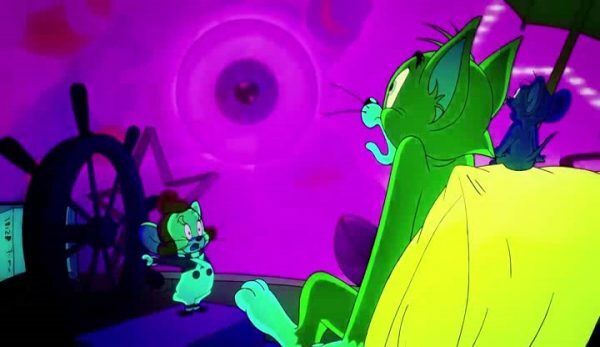 What is interesting is what the deviations are. 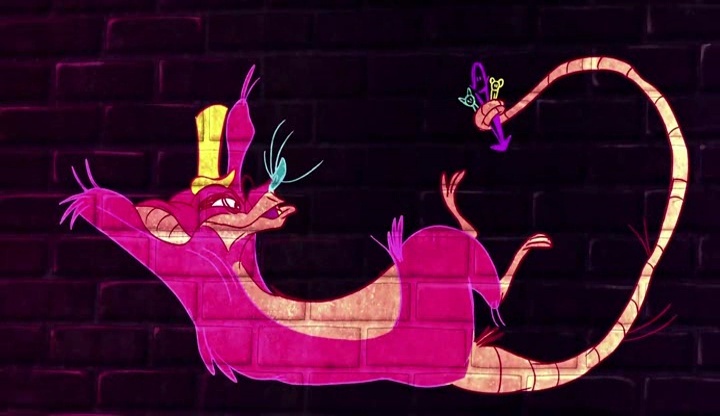 Slugworth takes a far bigger role, now more than a mysterious character with an offer the kids cannot refuse, he has a whole song sequence where he sings a version of “I Want It Now” done in a chalk on brick graffiti animation style, complete with his ridiculous Eastern European accent. 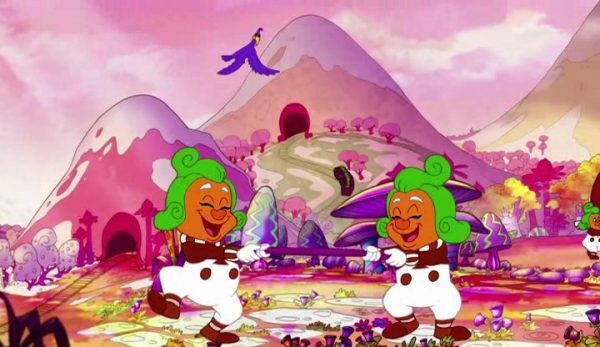 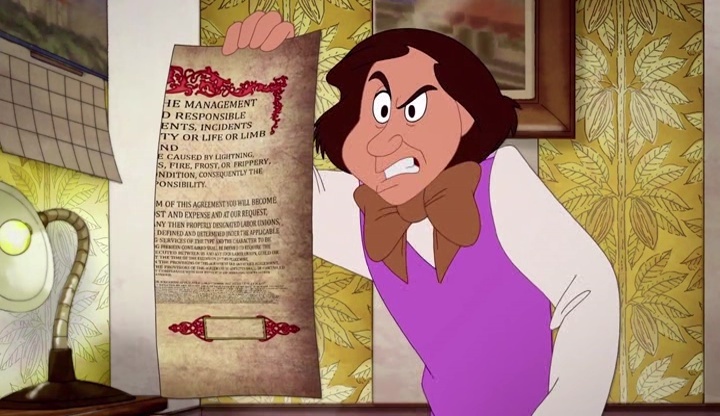 The words and animations show capitalism gone amok, making this the wokest version of Willy Wonka ever. 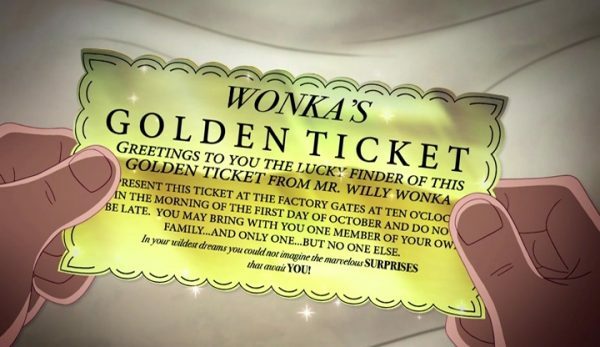 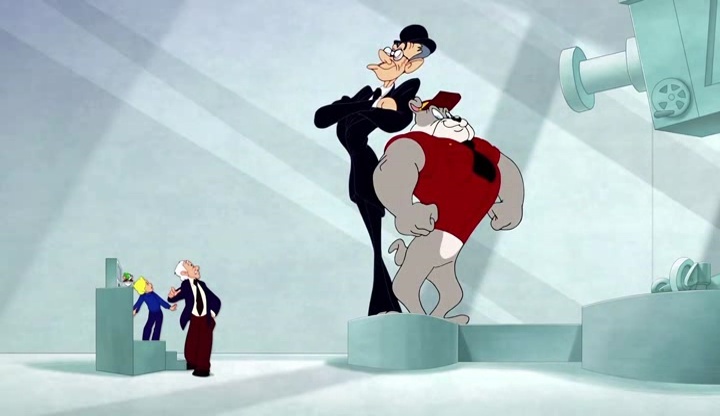 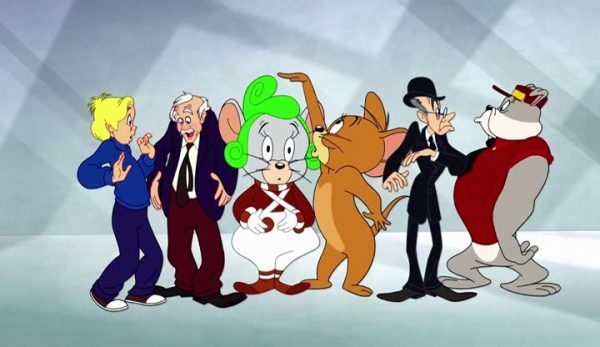 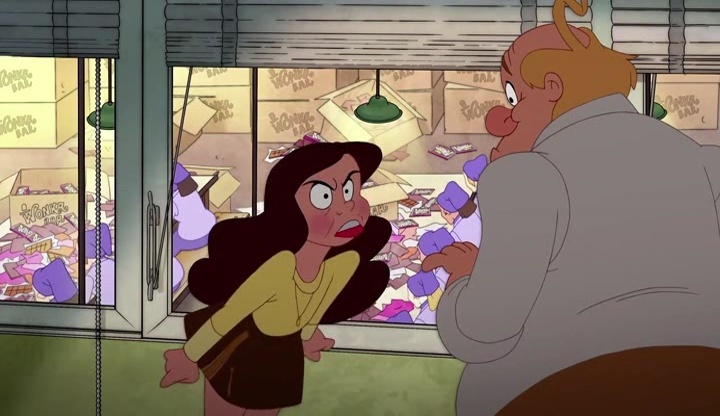 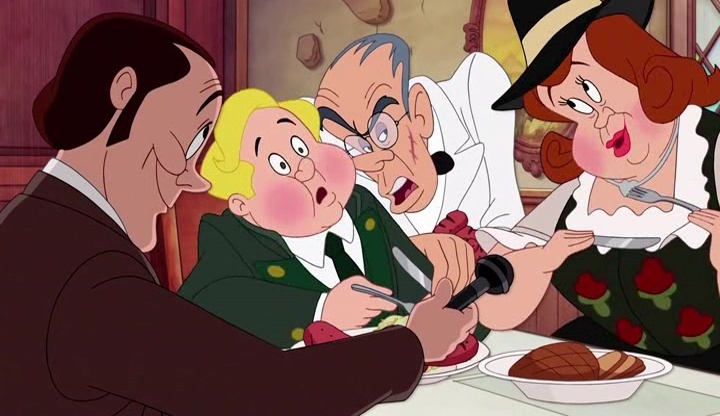 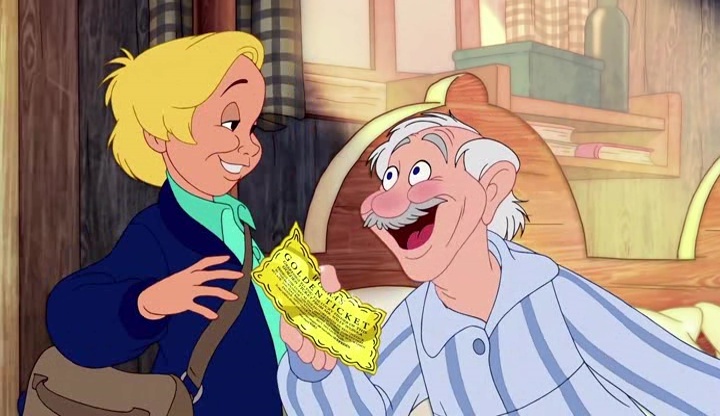 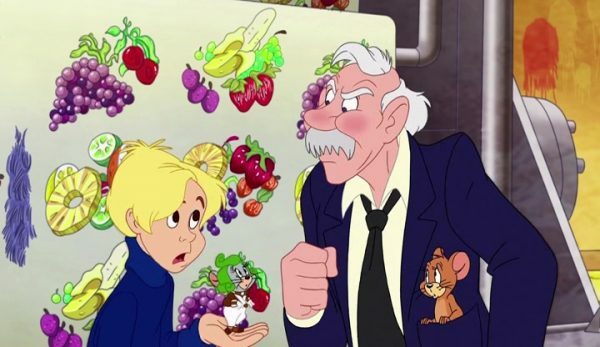 Grandpa Joe manages to lose the golden ticket, causing Tom and Jerry to have to return it to them, at which point they spot Slugworth wandering around the factory and thus spend most of the rest of the film battling Slugworth while getting led around by an Oompah-Loompah mouse (I am not making that up) played by Tom and Jerry side player Tuffy. If you ever wanted to see an Oompah-Loompah mouse reenact the spooky boat ride scene and recite the creepy poetry while the garish colors and visuals play, you have had your prayers answered, buddy! The rest of you will just have as many nightmares as you got from the regular version. 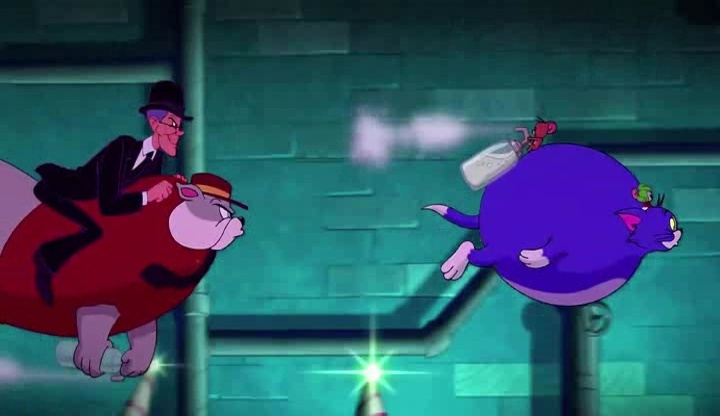 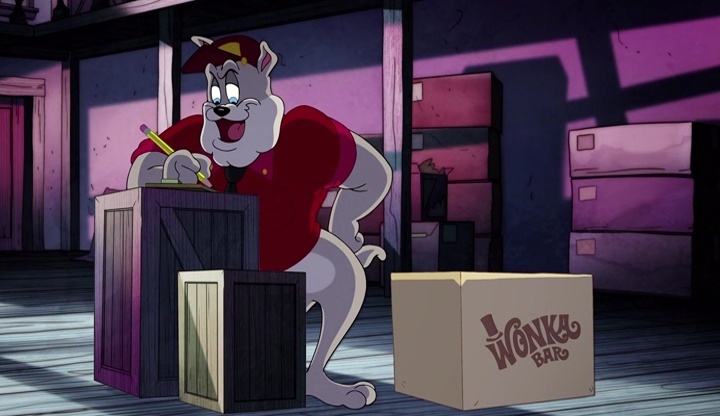 Slugworth is joined by guard dog Spike (who earlier was a delivery driver that Tom and Jerry stole candy bars from), and they chase after Tom and Jerry while they try to warn Willy Wonka about Slugworth. 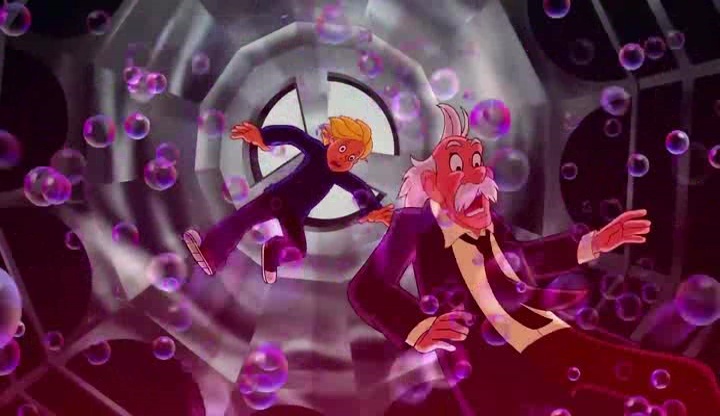 This means that everything negative and freaky that happens to the kids also happens to Spike or Slugworth. 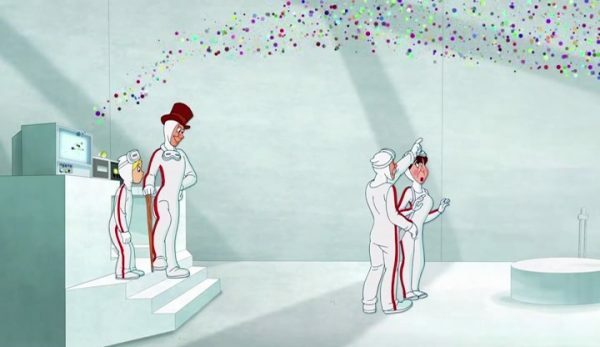 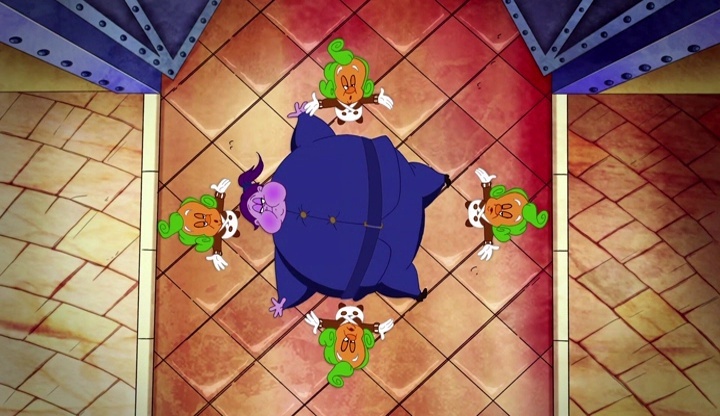 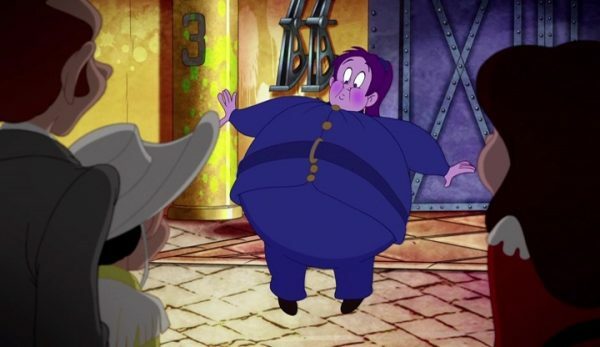 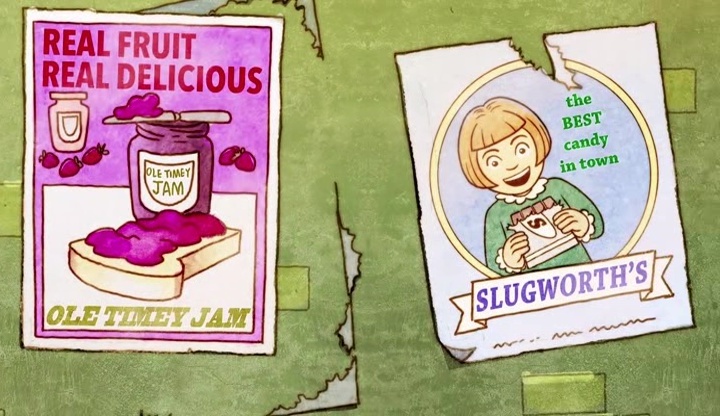 While in the original story all the bad things that happen to Augustus Gloop, Veruca Salt, Violet Beauregarde, and Mike Tee-Vee are because they are naughty children (which the movie sort of spoils by the scene of Charlie and Grandpa Joe being bad drinking the fizzy lifting drink), the punishments inflicted on Slugworth and Spike don’t seem to be justified (Spoiler for the old movie, Slugworth was just an actor doing an honor test on the kids, so he’s a Wonka employee, and so is Spike, so this is basically innocent people being tortured!) 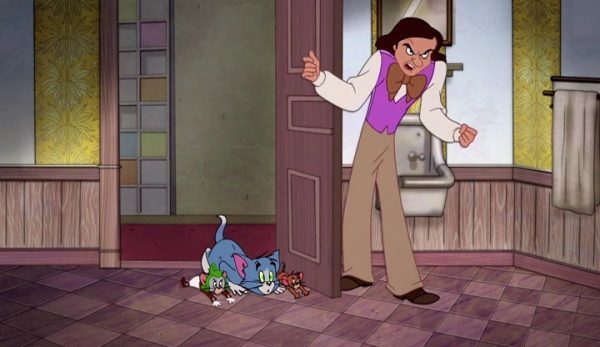 Also Willy Wonka hates cats for some reason never really explained beyond “cats are dirty”, though this guy is employing mice to make his food, so, um, yeah. 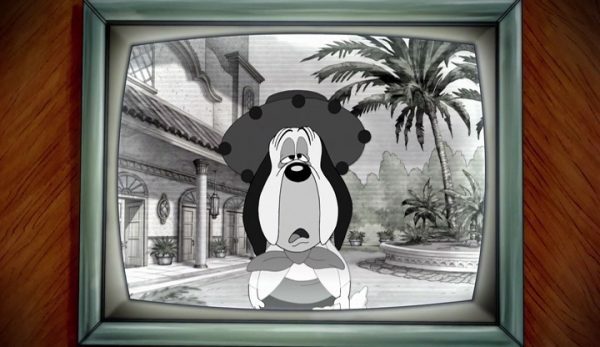 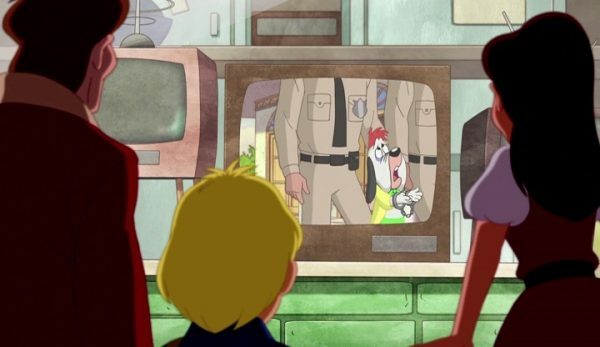 And who doesn’t want to see Droopy being led away in handcuffs? This film is a trip, it is so familiar yet completely different from so many things that it both ruins childhoods and movies but also becomes its own movie that has its own goals and point. 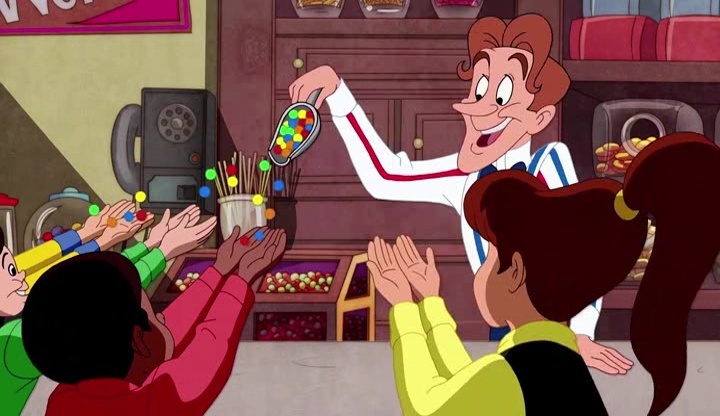 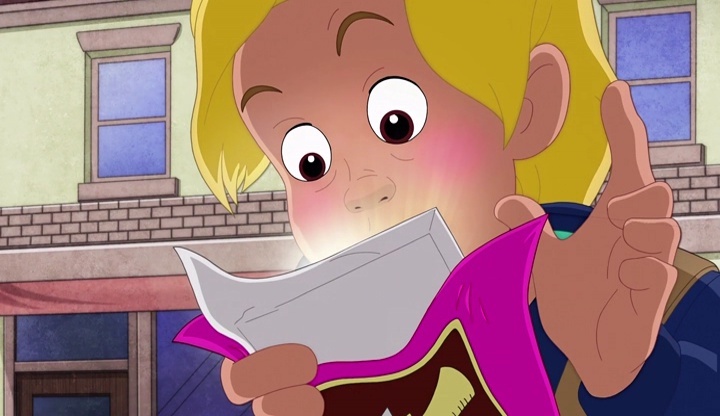 The cartoon framework makes the cartoon punishments of the kids fit in more easily, though that dispels the magical realism of the film. 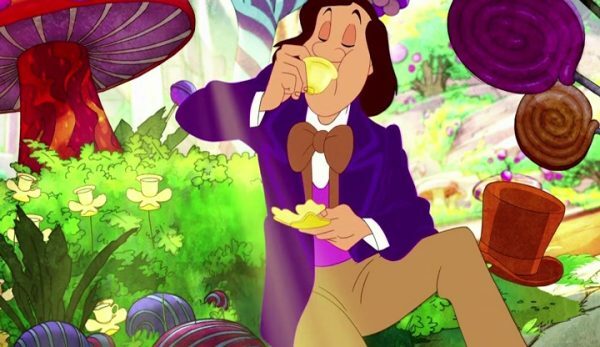 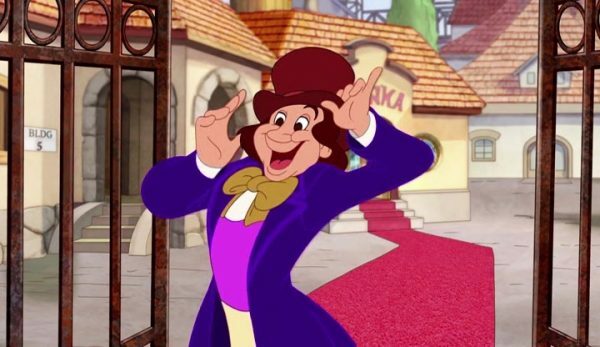 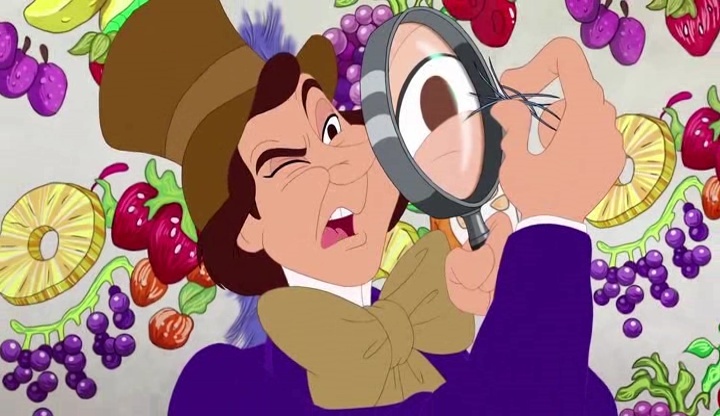 There is no way the cartoon could ever recreate the magic of Gene Wilder’s performance, and it seems aware of that, thus despite him being a major character he’s more of just there than anything else. Outside of all the strangeness, the film just really isn’t spectacular, it is a direct to video made for children movie that doesn’t expand much more than that, so keep your expectations tempered. 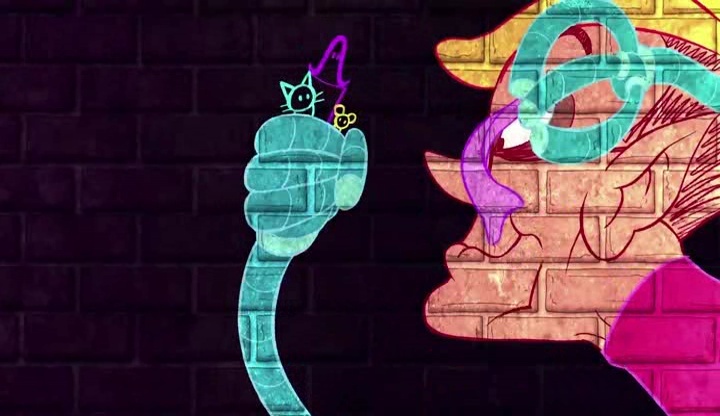 It isn’t a disaster, instead, a curiosity. 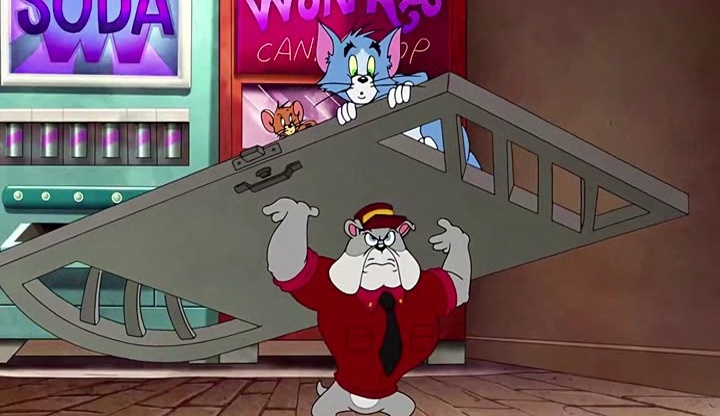 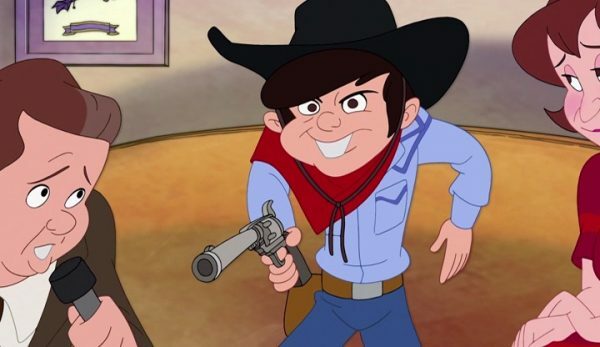 As much fun as it would be to overreact and act like this movie killed your childhood, it instead just made a half-hearted tribute to your childhood, no worse than the hundreds of others you run into all the time.